Located on the banks of the River Arno, Florence is famous for its place in Italian history and especially its importance of the Renaissance period, for its art, architecture and cultural heritage. Fashion has also thrived in Florence, as small Florentine artisans take great pride in their craft. 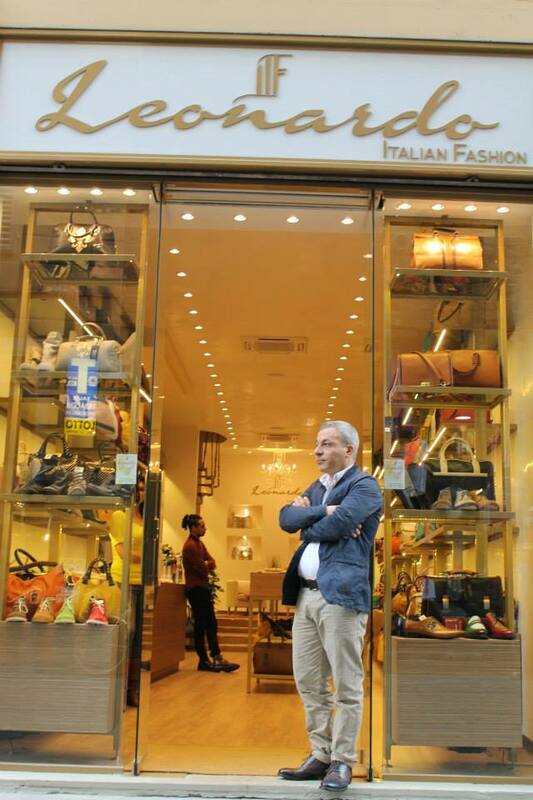 In 1995, Anan, a gentleman of Italian-Jordanian of Palestinian origin opened a leather goods shop in Florence, originating from his passion of fine Italian handcrafted leather work. 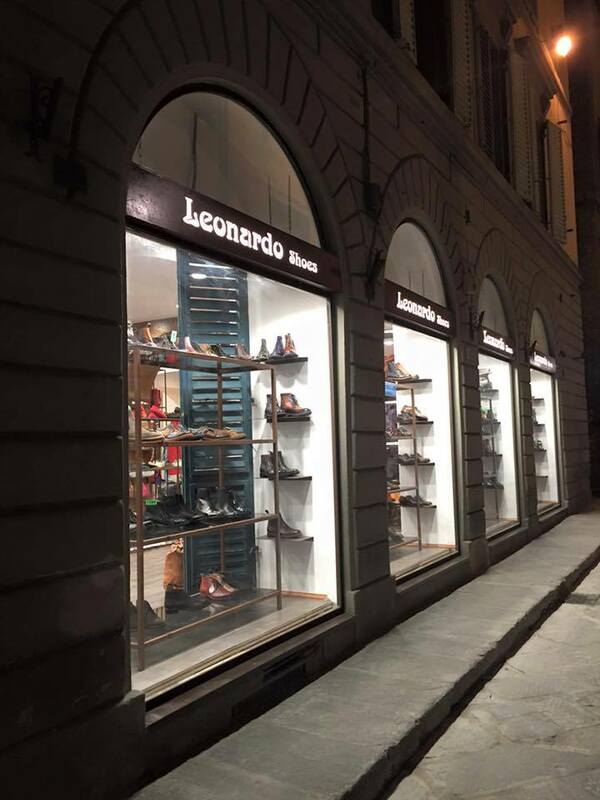 He named his business Leonardo Shoes, after the famous Italian figure Leonardo da Vinci, whose childhood was spent in Florence. Anan has a dedication that shows not only in the design and craftsmanship in his products, but also in the relationships he develops with his clients… even when just walking in the door for the first time at their Florence boutique. While they offer an extensive online store for men and women to select from a wide range of shoe styles, Leonardo Shoes are also crafted entirely by hand and to measure. The style of men and women who appreciate a classic timeless elegance, will be sure to find footwear that meets distinguished superior quality of material and craftsmanship. Attentive workmanship is executed to enhance every detail, and each shoe is finished with a blend of aniline, alcohol and vegetable wax combined to create unique color shade. In some cases allowing the effect of leather that has aged gracefully over time. 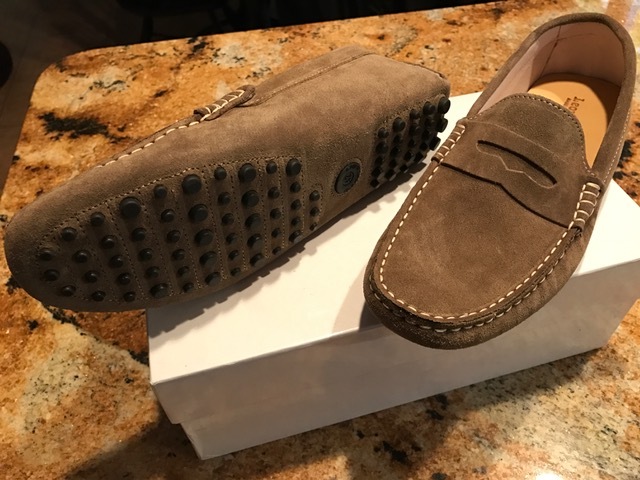 They frequently introduce new versions of most classic production-moccasins, riding boots, pumps, sandals, and golf shoes, all made entirely in the finest and highest quality leathers. 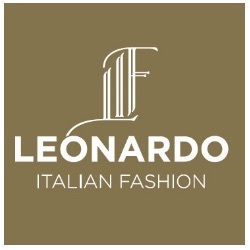 Leonardo Shoes is also known as Leonardo Italian Fashion, as they can also help clients to accessorize their perfect shoes with the latest fashion bags, belts and leather jackets as well. Leonardo has developed a worldwide loyal clientele that they are proud of and cater too. In fact, it includes several celebrities who have frequented their boutiques. Everyone has different tastes in style and of course different fits of shoe are required for optimum comfort. The craftsman at Leonardo believe that wearing shoes that are individually tailored to fit your feet, will give you unprecedented comfort and freedom. Orthotics and a proper shoe fit are very important aspects of foot health and physical well being. I came across Leonardo Shoes online and was impressed with reading their rave reviews. I happen to be a big fan of driving loafers, but living here on the East Coast of the U.S., I wasn’t about to travel to Florence for a perfect custom fitting. 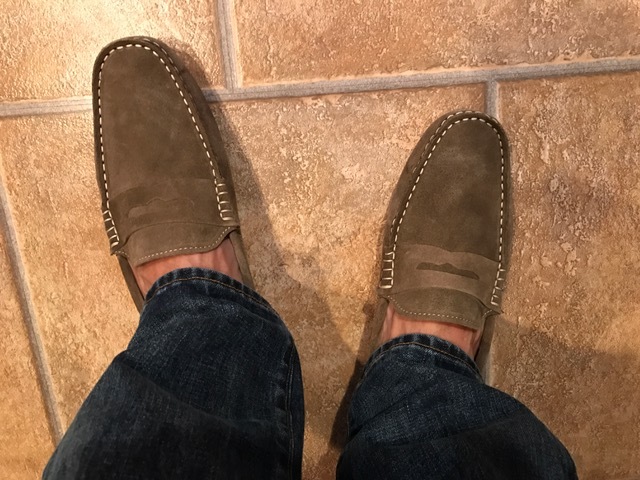 I decided to try a pair of their beige suede driving moccasins and was extremely impressed with the craftsmanship and fit. In fact, the shoes were out of stock at the time of my interest, but they were able to make a pair in my size and in a short period of time, they were at my door. If you were to compare similar style to something more expensive, it would be the TOD’S Gommino with their little nubs on the sole… but Leonardo saving you some money in your pocket.